Awesome panel. How do you like the KMD150? Also, there's a rib directly in front of the pilot behind the panel on the -7 tip-up (sorry, don't know the part# because I haven't gotten there yet! ), but is your 6-pack a little off-center to deal with the rib or did you modify it? If it's off-center, does it bother you? - Jamie, just thinking ahead here. 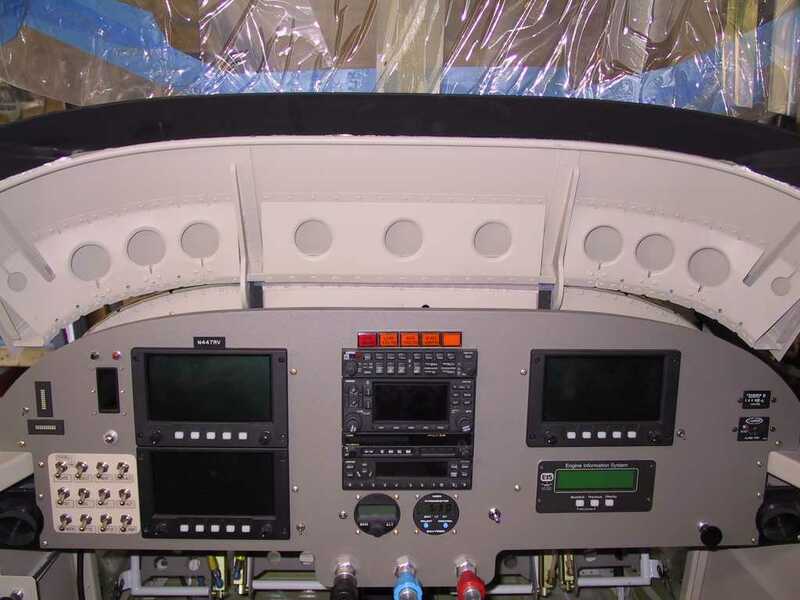 Whoever, posted my RV-7 Panel with its' curved throttle console; thanks for the effort. I couldn't post the picture, I think because I have a Mac. I made the console from two Canopy roll frames that I missed drilled. If any one wants the constrcution details email me. I can also supply a Fiber glass, Kevlar or Carbon cover for the unit. Thank you, Jamie!! I absolutely love the KMD150. It is the best VFR GPS I have ever used. Easy and very informative. It also can be coupled directly to autopilots (I do not have one installed) and needs no separate interface. It is short and will fit between the panel and subpanel, so you do not need to cut a through hole in the subpanel for it. That allows you to leave the canopy release mechanism intact. I just needed to cut some of the HIHAT section below the mechanism for the SL40 and SL70. And it has its own cooling fan. My SL70 and SL40 did not need the cooling fans, so I did not have to add extra cooling equipment. The gages stradle the stock rib confirguration and seem quite normal in placement. I set the AI and DG as close the the rib as possible and mounted the others spacing them so they were all symetrical. This basically placed the AI and DG right in front. The key to a good looking panel is just plan it out as to what you want, then lay it out so things look organized and balanced. The 6 pack concept was laid out as most gyro panels are, giving you the typical T scan configuration. I just set the major components where they were needed most and set the other less used things where room permitted. The depth and the ribs in the RV panel do pose some problems, but with planning and/or some modification, many great panels have been installed. 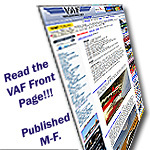 RunwayFinder.com - airport info, online charts, live METARs, TFRs, etc. Imagine my surprise when I'm just browsing along and I see this panel that looks very much like mine... HEY! Who copied my panel? Wait a second. LOL. I have complete layout files available in Visio as well. This was the panel of my RV-6, since sold.